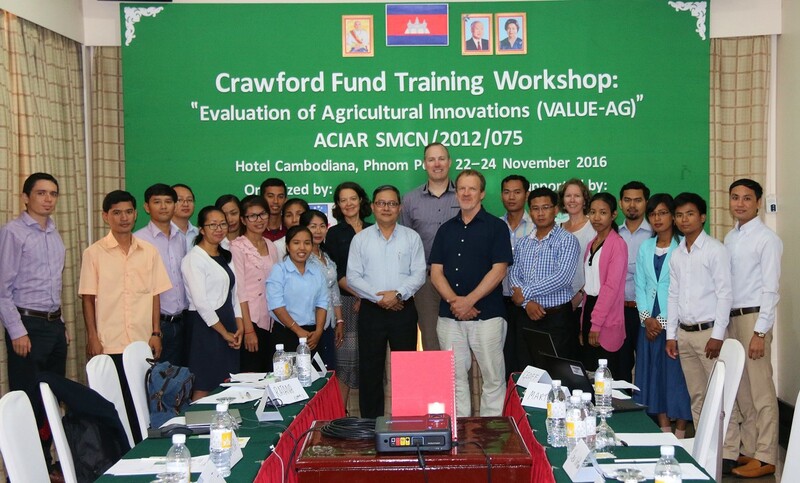 The true value of innovations in agriculture is often poorly assessed due to insufficient, overly complex and/or inadequate tools or expertise. 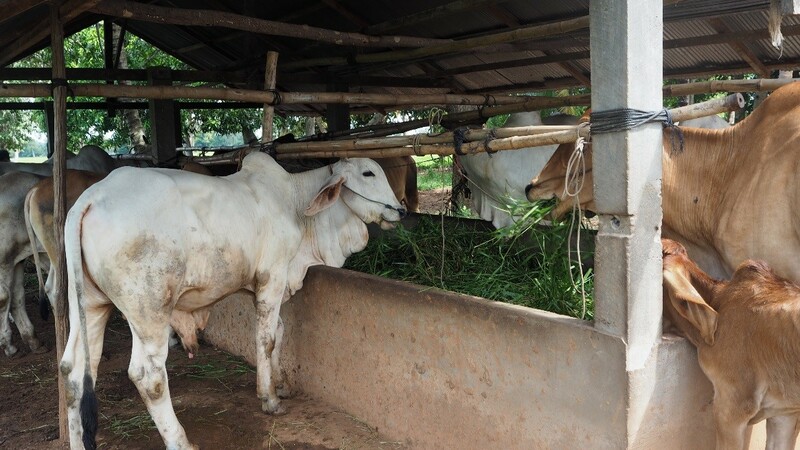 ‘Evaluation of Agricultural Innovations’, or VALUE-AG, is a systematic approach that uses key elements of bio-economic modelling, risk analysis, adoption theory and impact assessment to better evaluate agricultural innovations in smallholder farming systems. 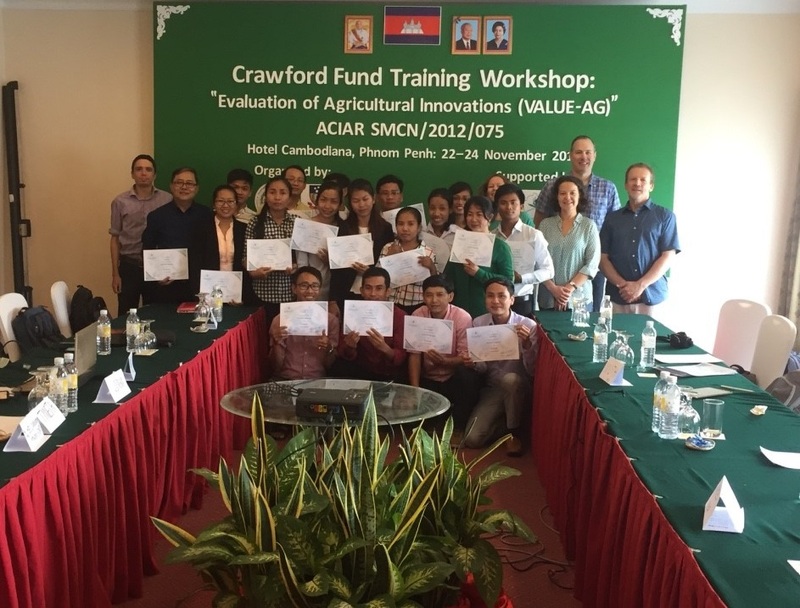 The Crawford Fund recently supported 3-day training workshops held in Cambodia and Laos. 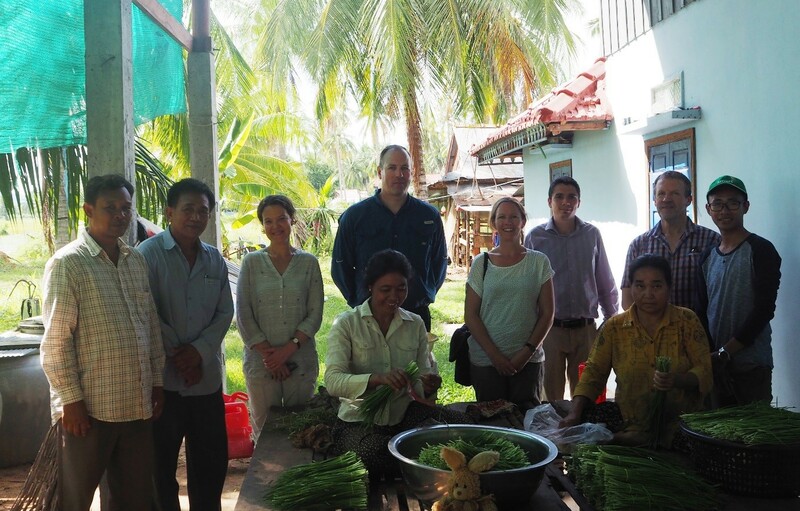 The aim of the training was to provide researchers and rural extension staff with a range of concepts and tools required to better understand the economics of farming systems and the factors influencing the adoption of innovations, such as novel forage crops. 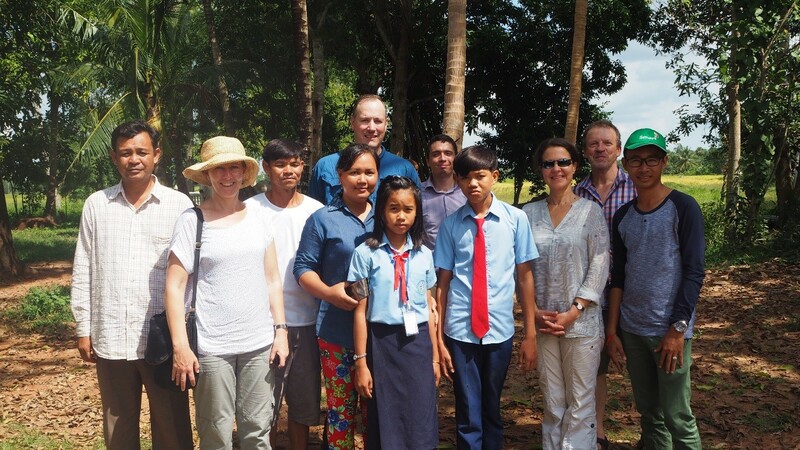 South Australian researchers Dr Marta Monjardino (Research Scientist at CSIRO Waite) and Dr Geoff Kuehne (Director, Meaningful Social Research) were the trainers for the workshops. 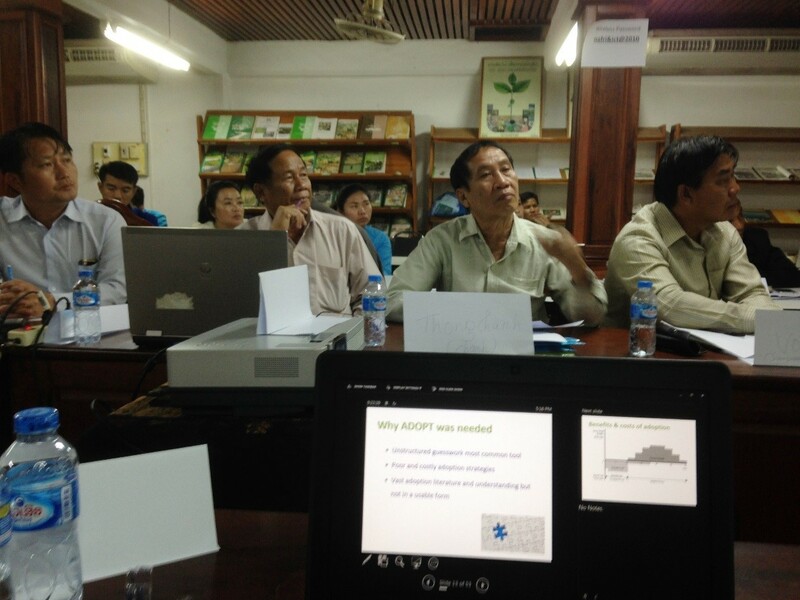 The workshops offered an opportunity to share some of the work in farming systems research conducted by the University of Adelaide and CSIRO. 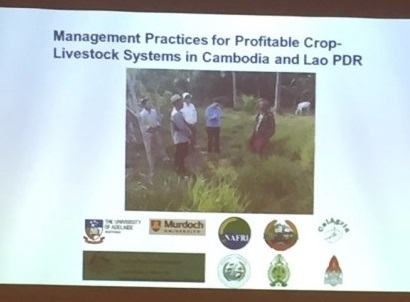 “In particular, the Smallholder ADOPT and the bio-economic IAT models developed by CSIRO are highly relevant to the ACIAR objectives, and are likely to strengthen and attract collaborative links,” said Dr Monjardino of CSIRO. “Universities, CSIRO and Australia must continue to play a leading role in the design and evaluation of farming systems that can be implemented to increase food security, decrease environmental impacts, respond to climate change, and provide management alternatives for enhancing natural resources,” she said. 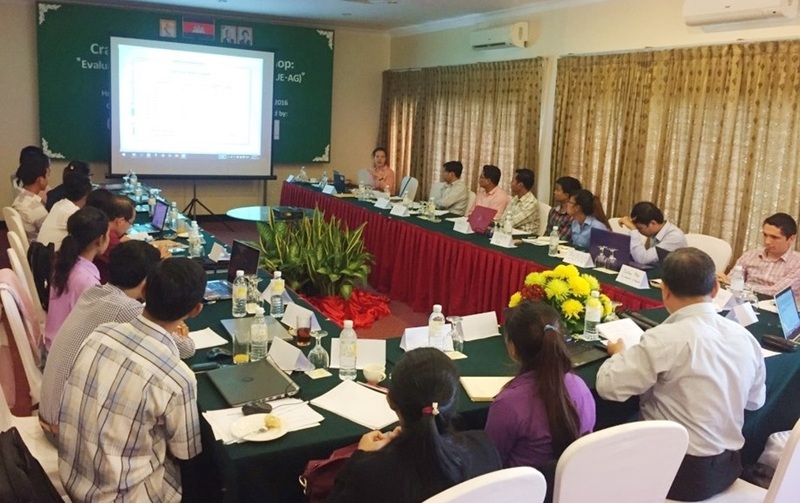 The training is expected to directly and indirectly contribute to the strengthening of relationships, and the exchange of ideas and resources between the trainers, ACIAR project staff and local research staff (including Australian researchers based in Laos). 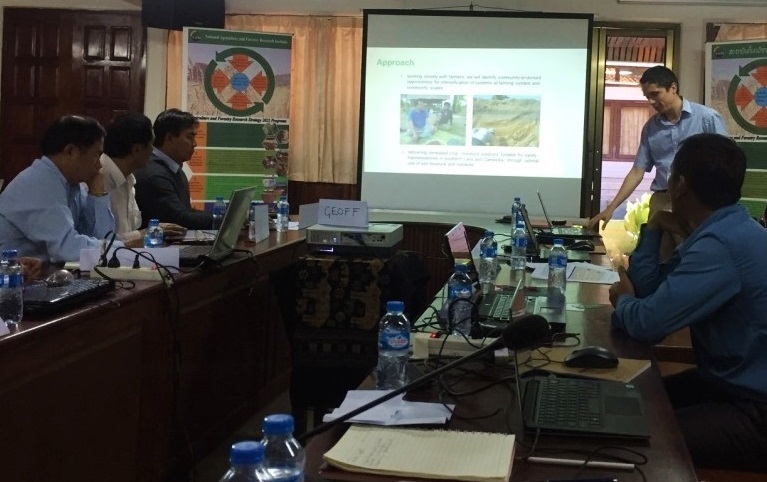 “Participants gained new insights and the confidence to systematically assess the net value of an agricultural innovation in a smallholder context, including how likely it is to be adopted,” said Dr Monjardino. 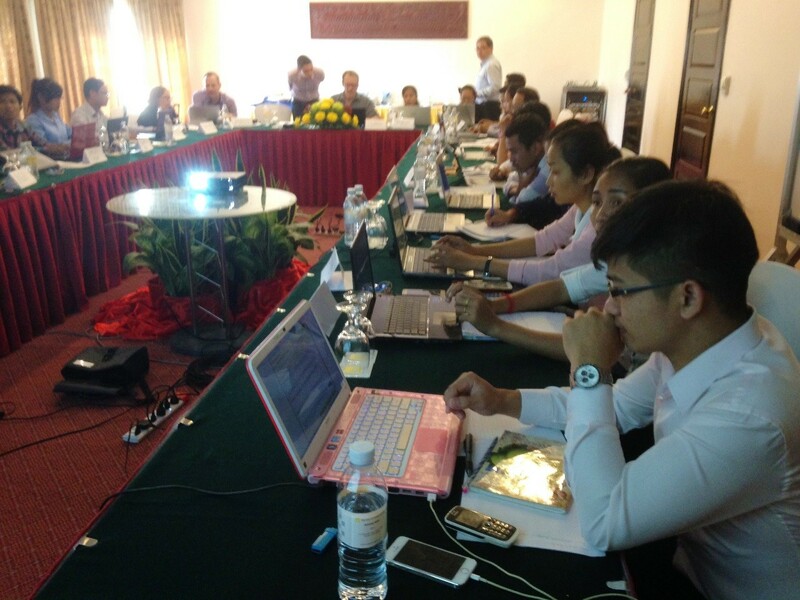 The trainers are keen to revisit Laos and Cambodia for a follow-up session next year. 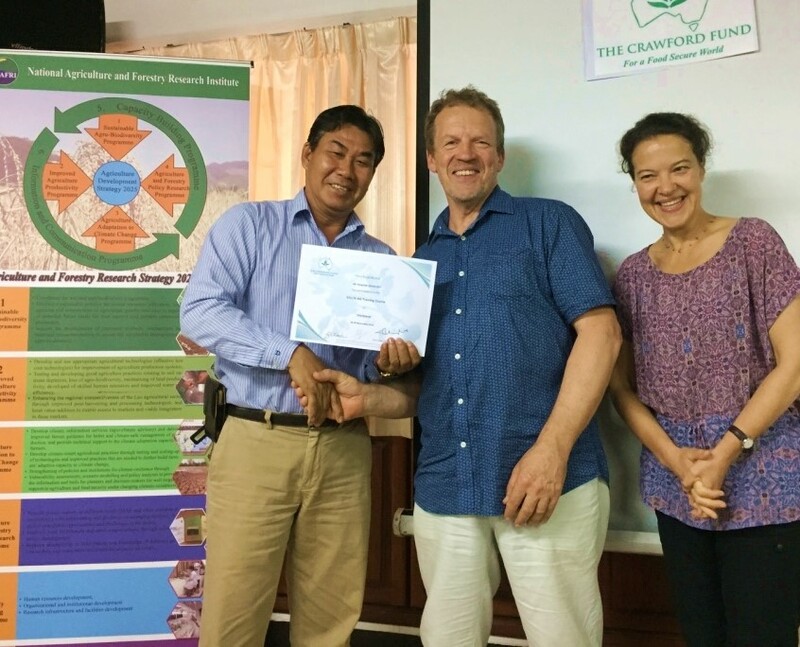 “We would like to evaluate the impact of the training’s concepts and tools on the trainees’ ability to evaluate agricultural innovations, such as novel forage crops. 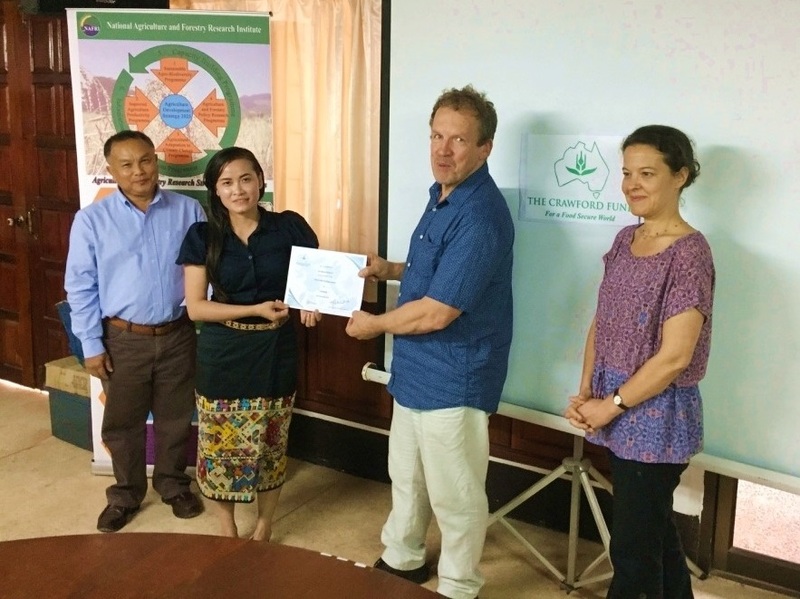 This would provide an opportunity to consolidate the use of the tools with our partners in Laos and Cambodia,” said Dr Monjardino.